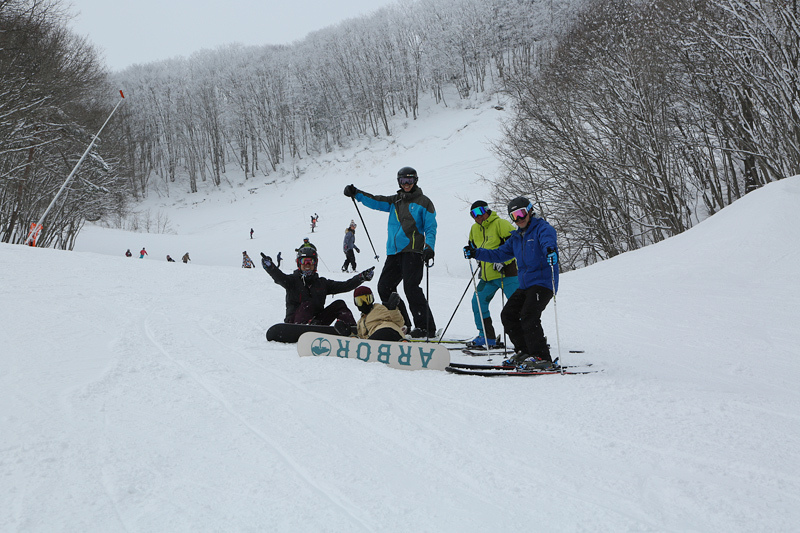 DC PARK during the 3 consecutive holidays was popular mainly on snowboarders. The Slope tightened well, and easy to enter for any item. I frequently saw people who challenge rail-related items with relatively high difficulty. After all it was the table top with 7 m and the table top with 8 m which was popular, there was a time when queue of waiting was possible. 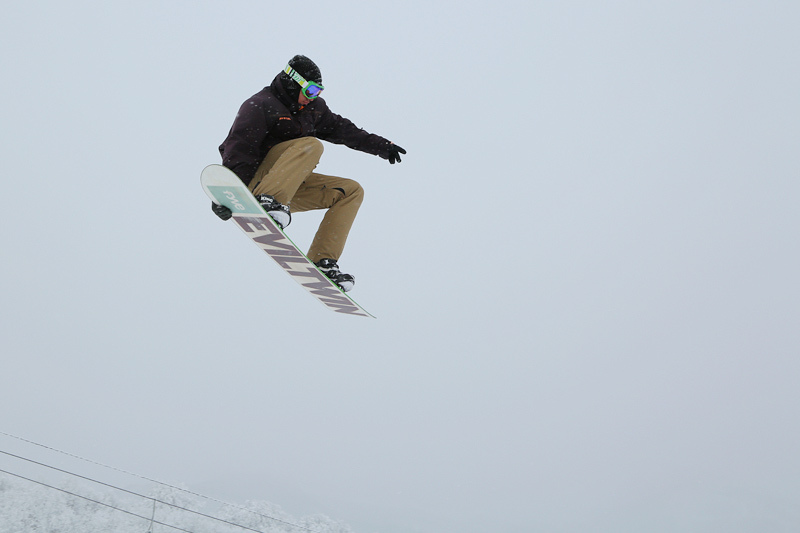 While weakly snowing, there were beautiful trick with grab in sequence. The Sunny Valley Course was tightened well, the ski ran and the firm ground that was scraped by the edge was exposed in some parts. 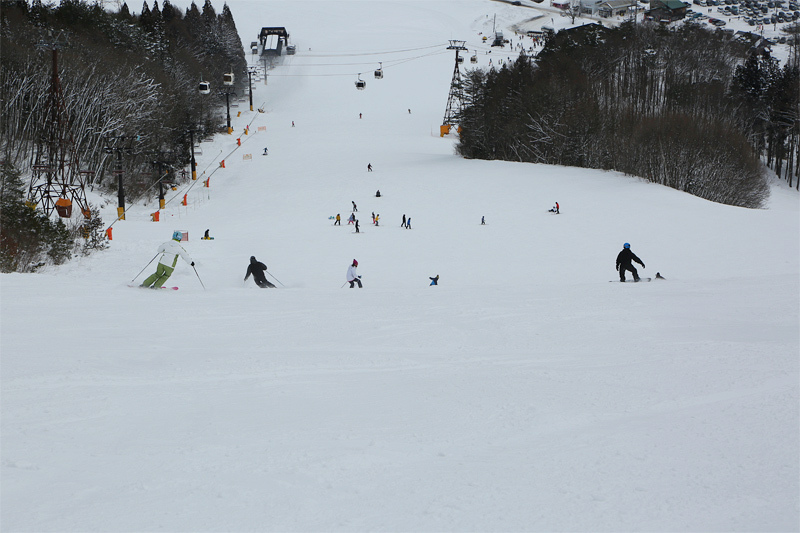 The Paradise Slope was firm on the upper part (photo), the thin part covered thin with soft snow was easy to turn. 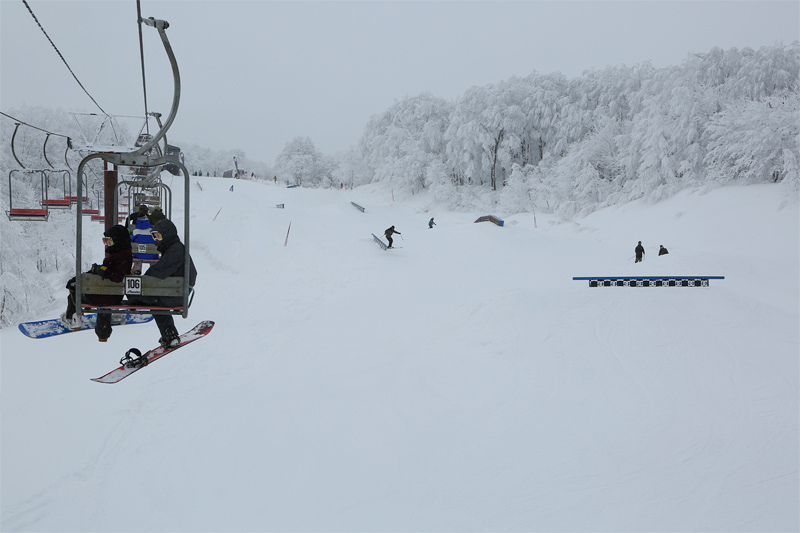 *Hakuba Iwatake Snow Field will start 2018-19 Winter operation from Dec. 14, 2018 to Mar. 31, 2019.